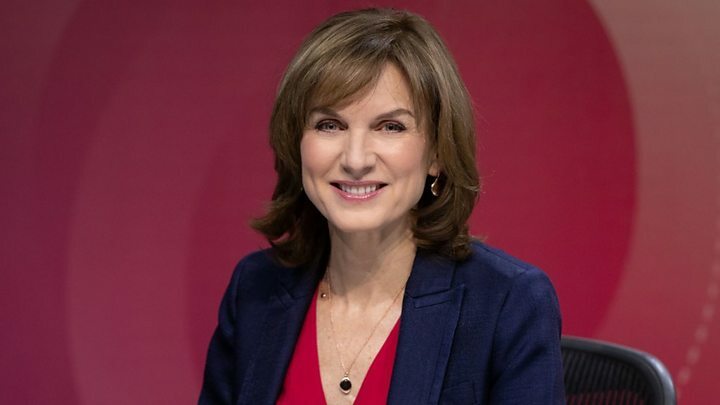 Viewers have reacted warmly to Fiona Bruce’s first edition of Question Time. Thursday evening’s episode was the first to be broadcast since David Dimbleby’s departure last month. “It’s lovely to be here,” Bruce told the audience in Islington in North London as the show began. Brexit dominated more than half the programme, with the safety of London’s streets among the other issues raised by the audience after the stabbing of Jayden Moodie. The panel for Bruce’s first programme included Conservative MP James Cleverly, shadow foreign secretary Emily Thornberry for Labour, Jo Swinson from the Liberal Democrats, journalist Melanie Phillips and comedian Nish Kumar. Jonathan Ross was among the first to praise Bruce’s hosting, tweeting that she was doing an “amazing job”. Politicians also voiced their support, with former energy secretary Ed Davey describing Bruce as a “breath of fresh air”. However, The Daily Express picked up on several viewers who suggested Bruce needed to project her voice better. Some complained that she was mumbling or speaking too quietly for them to properly hear her questions. The Herald Scotland generally praised Bruce, but added “she has yet to settle on a QT tone of her own”. “At times, head cocked and smiling broadly, she could have been admiring a Victorian teapot on the Antiques Roadshow rather than extracting answers from politicians on a no deal Brexit,” Alison Rowat wrote in her review. 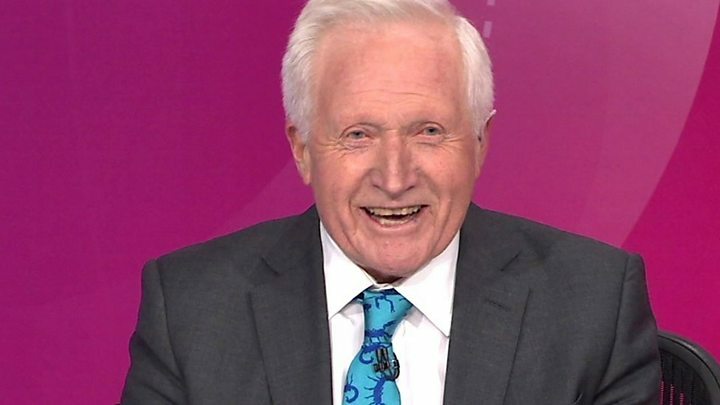 Dimbleby stepped down last month after 25 years fronting the political show. He received a standing ovation from the audience during his last episode, which was broadcast on 13 December. “There is nothing like [Question Time] on TV,” Bruce told The Telegraph ahead of her first edition, which was broadcast on BBC One. What links Fiona Bruce to Robert de Niro? Bruce currently hosts BBC One’s Six and Ten news bulletins as well as the Antiques Roadshow. She has also previously presented Crimewatch and Panorama.